If there's one thing I've learned in my career in property investment, it's that there are a lot of different approaches to making a profit from real estate. The traditional method takes a long-term view, and relies largely on capital appreciation, but not all of us have the time or the money to wait years before seeing a return. My personal preference for real estate investments (and the one we teach at Think and Grow Rich in Property), is to find properties that have the potential to turn a profit from day one. It may sound too good to be true, but it’s really not rocket science once you know what to look out for. Here are a few of my favourite tips on spotting a property with really solid potential. Paying market value for a property makes it almost impossible to make a profit early on, so the first trick to finding great opportunities is to look for areas that are about to become much more attractive to buyers or tenants than they are right now. That way, you can snap up a bargain before the rest of the market catches on and either flip the property or let it for a profit a relatively short while down the line. Of course, to get in early, you need to know how to spot a neighbourhood on the rise. One of the easiest and most reliable indicators of this is development. Look for areas that are the focus of fledgling urban-renewal projects, are attracting a lot of new businesses or restaurants, or simply have lots of construction going on. A frequent giveaway is the appearance of a bunch of cranes in a seemingly run-down area – neighbourhoods like that are probably worth a closer look. Lifestyle conveniences play a huge role in the desirability of modern neighbourhoods. The less time residents have to spend in their cars to get to work, school or the local shopping centre, the more they’re generally willing to pay for properties in the area. This is a trend that’s only likely to get stronger as traffic congestion in cities increases, which makes convenient, lifestyle-oriented neighbourhoods very strong candidates for above-average growth. To identify an area that fits this description, look for schools, parks, shopping centres and restaurants, as well as public transport facilities, easy highway access and good proximity to a business hub. New companies moving in can also be a great sign of increasing lifestyle convenience – more local jobs mean more opportunities to offer the ultimate work, live, play lifestyle. The only way to turn a profit from day one of a property investment is to make sure your rental income covers all your expenses and more. That’s pretty difficult to do when buying at market value, but becomes a whole lot easier when you find a diamond in the rough. To find an undervalued property, look for older houses or apartments of 15+ years. The best bargains are usually quite dated and poorly maintained, but won’t cost the earth to get into liveable shape. With the right fixer-upper, you should be able to buy, renovate and rent for a profit right away, or flip the place to finance your next property venture within a few short months. No matter how much potential a property seems to have at the outset, you have to crunch the numbers to know whether it could turn a profit from day one. It’s often easier to get good results with entry-level properties, but there are opportunities to be had in every market. As long as your projected rental yields compare favourably against your purchase price (plus additional expenses), you stand a good chance of having a profitable investment opportunity on your hands. Sylvia Koketso Milosevic is a real-estate entrepreneur and cofounder of Wealth Alliance - a long-term wealth creation training company. 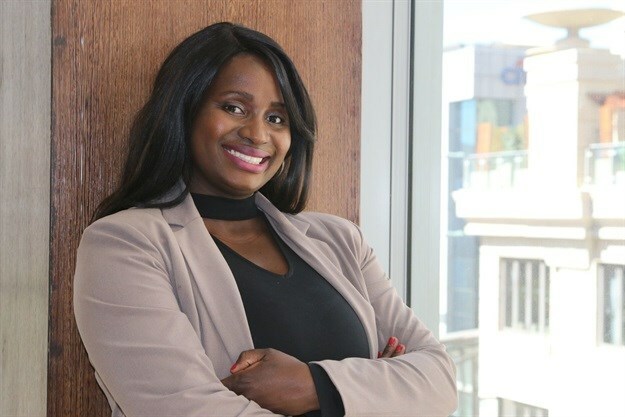 Sylvia has championed property investment education in South Africa, bringing world-class property seminars to the local market, including Think and Grow Rich in Property.